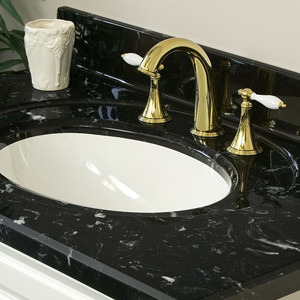 We also carry standard size vanity tops that are designed to fit the standard vanities produced by the cabinet manufacturers. Tops available in 19”, 22”, 22.5”, 24”, & 25” depths with an integral backsplash. All other depths will have a loose backsplash. 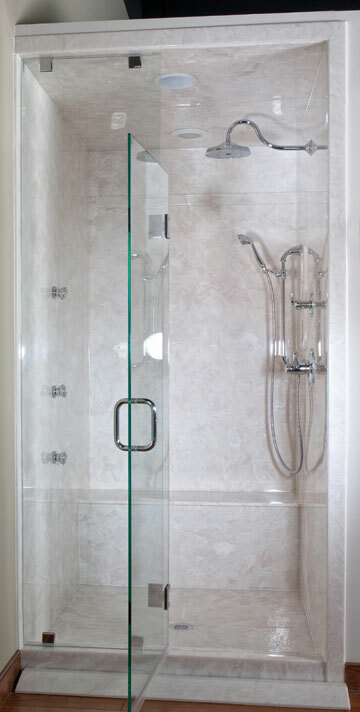 We have a multitude of standard size showers as well as a Universal Shower Pan for custom applications. It can be made into different sizes and shapes. Custom-Configured Shower Bases Also Available. 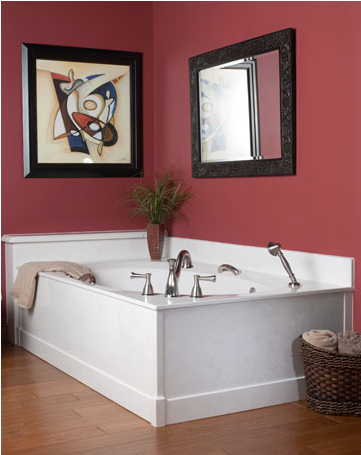 All Tubs can be purchased plain or with whirlpool systems. Whirlpool systems are availabe with a 3/4 HP pump with 4 jets, 6 jets, or 8 jets. 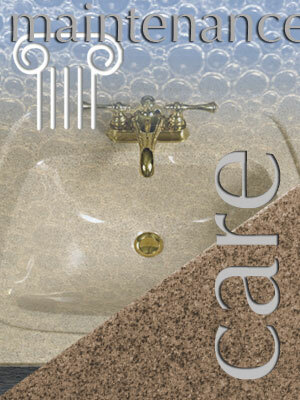 Color matched, brushed nickel, chrome plated, brass plated or plastic whirlpool jets. Inline heaters and 1 HP pumps are available. We offer a wide variety of mirrors suitable for any room in your home. 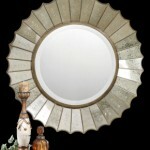 A selection of these mirrors are in stock and ready for purchase. All cultured marble products need to be maintained with care to assure long-lasting beauty and satisfaction. Cultured marble provides an extremely durable, nonporous, stain resistant surface. Routine cleaning with a soft sponge or cloth and a non-abrasive aerosol foam cleaner is all that is required for many years of trouble-free service. Harsh abrasive cleaners are not needed or recommended. Scratching or dulling of surfaces can occur from the use of products such as SoftScrub®, Ajax®, Comet®, etc. Periodic applications of paste wax or products like “Gel Gloss” will help maintain a high gloss luster and make cleaning easier.